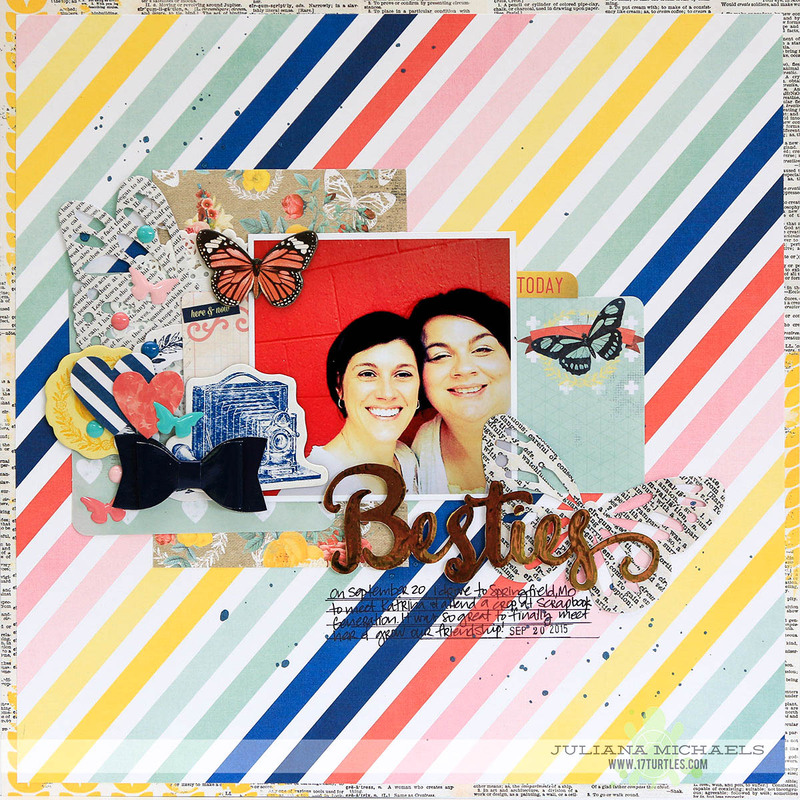 I recently had the awesome pleasure of meeting Katrina Hunt in person and attending a weekend crop at Scrapbook Generation. I'm originally from Missouri, which is where Scrapbook Generation is located, so I decided to incorporate meeting her and attending the crop during a trip to see my family. It was a wonderful weekend and one I will always treasure! It's so wonderful to meet people and learn how truly awesome they are. I truly believe that I have a new best friend for the rest of my life! While we were there, we of course had to take a selfie. Katrina printed it and then we each scrapbooked it. Katrina posted her She #Roadtripped layout last week. Today, I'm sharing my take on it using the BoBunny Sweet Life collection along with lots of fun embellishments, including a doily just for Katrina! To create the title, I used Therm O Web's Deco Foil and Hot Melt Adhesive. If you are interested in how I did this, you can check out the Foiled Die Cut Tutorial I created and shared on the Therm O Web blog. It's one of my favorite ways to work their foil, however, I have branched out and tried some new techniques that I will be sharing with you very soon! 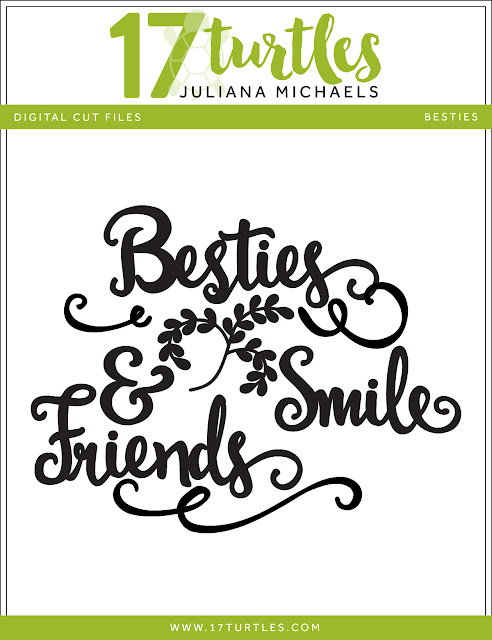 As a little gift for you, I have put together a free cut file for you to download that includes the Besties title I used on my layout. Enjoy! I hope you enjoyed today's post and that you enjoy using the Besties Digital Cut File I shared with you today! 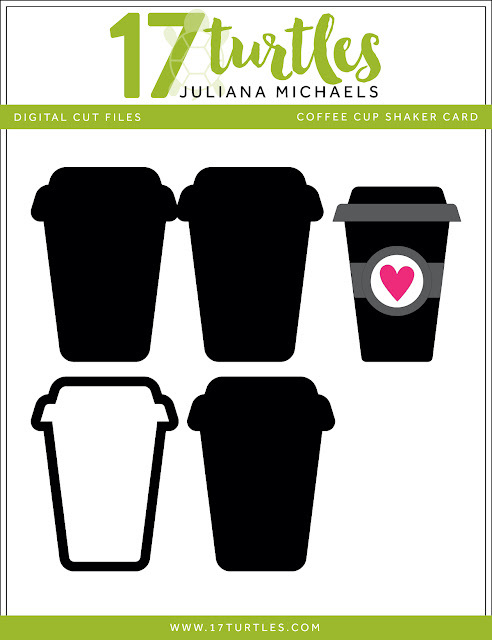 Remember you can always tag me on social media if you create something with one of my cut files. I love to see what everyone creates with them! Fabulous page! 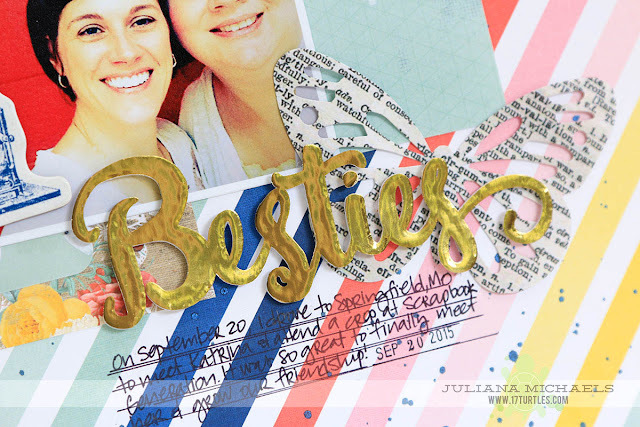 Love all the embellishments and cut file. Thanks for the cut file too! Great layout! I love the foil die cut and the other embellies. I've got to check out your foiling tutorial. 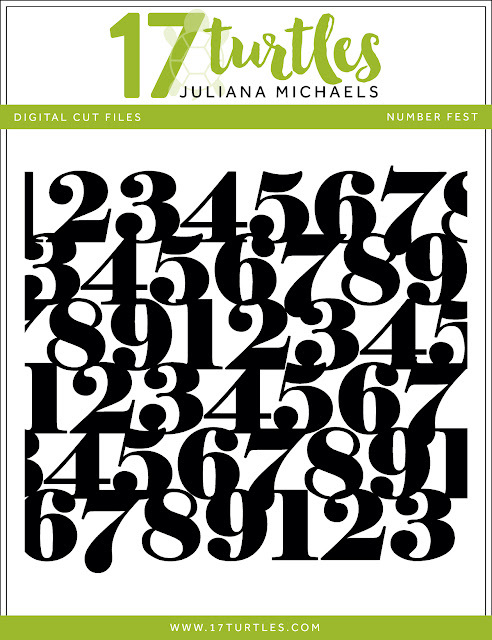 Thank you for the awesome cut files! fun page! Thanks for the cut file. One beautiful and sweet layout, Juliana! Love the cutting file, thank you so much! Thanks for sharing your cut files. The Besties is such a cute set. Thanks! Awesome layout!! 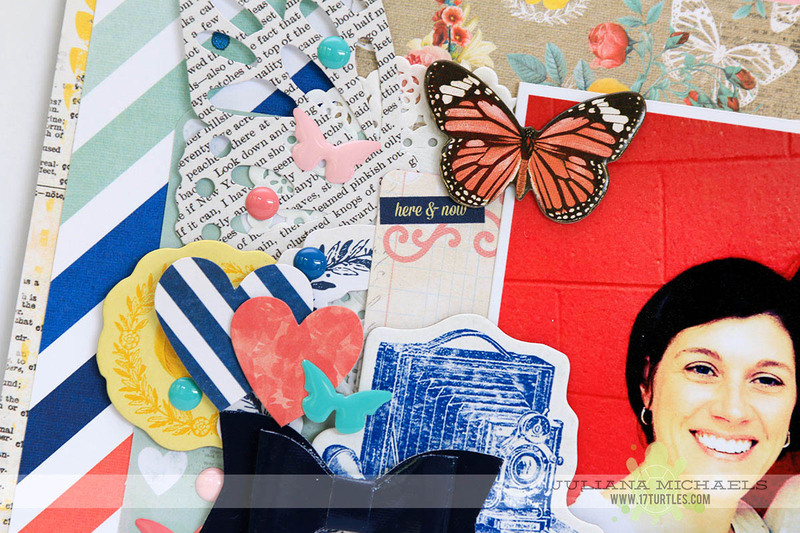 Love how colorful it is and love the cut file of course! Love Besties so much! Thank you! I know I'll use it many times. Your layout is terrific!